Elephants, rhinos and gorillas, oh my! 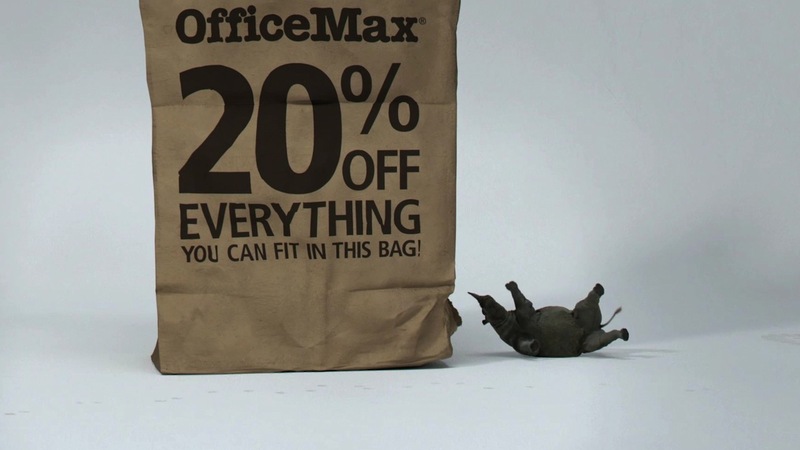 In OfficeMax's new ad campaign from agency Preston Kelly Minneapolis and director Ben Smith of The Mill, it's African wildlife who steals the show in three 15-second spots. "The team from Preston Kelly was great to work with-they were very collaborative and fun," explains Smith. "They initially contacted us to create this campaign because they had seen the lap giraffe from the DIRECTV 'Opulence' ad, and knew they wanted to work with the people that created him. Our goal was to make humorous spots, and make them look as believable as possible, since they are all entirely CG." In order to make these realistic CG animals perform, the timings and actions of the animals were blocked out by The Mill team during pre-vis. After analyzing reams of animal footage to understand how each one moved, a team of animators lovingly key framed the animals into life. Various simulations were created to add realistic skin and muscle movements to the animation. Smith laughingly adds, "We found great references for the elephant spot by searching for 'fat guy on Unicycle' on YouTube." Try to ignore this elephant in the room!